Arthur Murray Merrick instructors are specially trained and certified and can put you in touch with today’s most popular dances to make you a comfortable social dancer or a competitive hobby dancer. The choice is yours and we’ll help you achieve it because each lesson is taught step-by-step at your own pace. Over 40 million students taught worldwide. Any occasion is the perfect occasion to give the gift of dancing to your friends and family. Arthur Murray Dance Studios are guaranteed to have the right gift certificates that are designed to treat the recipients to the world of Ballroom & Latin Dancing. It is our experience that every couple has different needs, preferences and time schedules but everyone has the ability to be a good dancer with enough time. 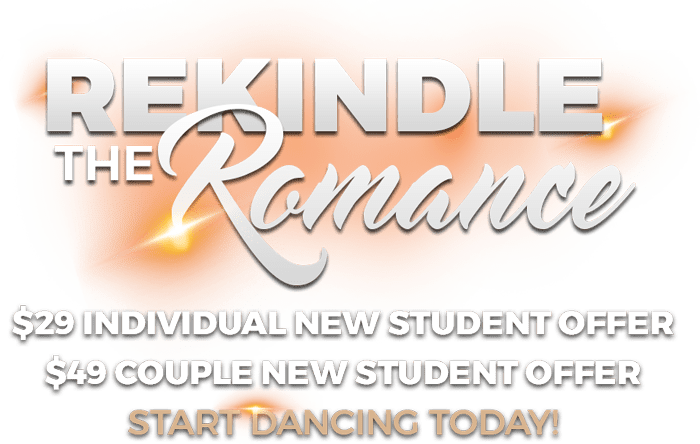 Wouldn’t it be great to have the romance of dancing for the rest of your lives together! We can put something together that is uniquely yours. © 2019 Arthur Murray Merrick.